Autumn can see the lawn being hijacked by a mammoth amount of leaves. Therefore, in order to keep your lawn in prime condition as we head into winter it is important to remove all the leaf litter. One great suggestion is to mulch the leaves with your lawn mower and then add the compost into the surrounding soil and plants. It is an easy, low-cost method of using the leaf organic matter as a mulch. 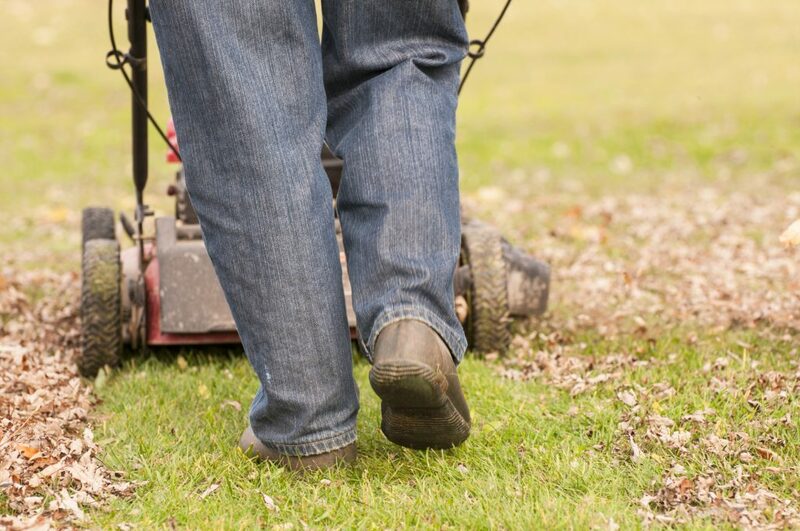 Removing the leaves during this time of year, when there is less light, allows more sunlight to penetrate into the lawn’s own leaves and create photosynthesis or growth. Photosynthesis is the process by which green plants, or lawn, use sunlight to make nutrients from carbon dioxide and water. Autumn is also the time to add a slow release fertiliser with a good potassium base that will give the lawn maximum health before it becomes dormant during the cold winter months. A good fertiliser can be found at any professional nursery outlet. Also look at slightly raising the height of your lawn mower to preserve the lawn’s leaves and allow them to photosynthesise. It allows the leaves to also form a canopy of protection for the underlying soil.